The Phase I investigations served as a pilot study that provided critical information necessary for the construction of a viable research design for continuing research. Site Hierarchy and Geopolitical Landscape of Central Campeche Coast and Río Champotón Drainage. 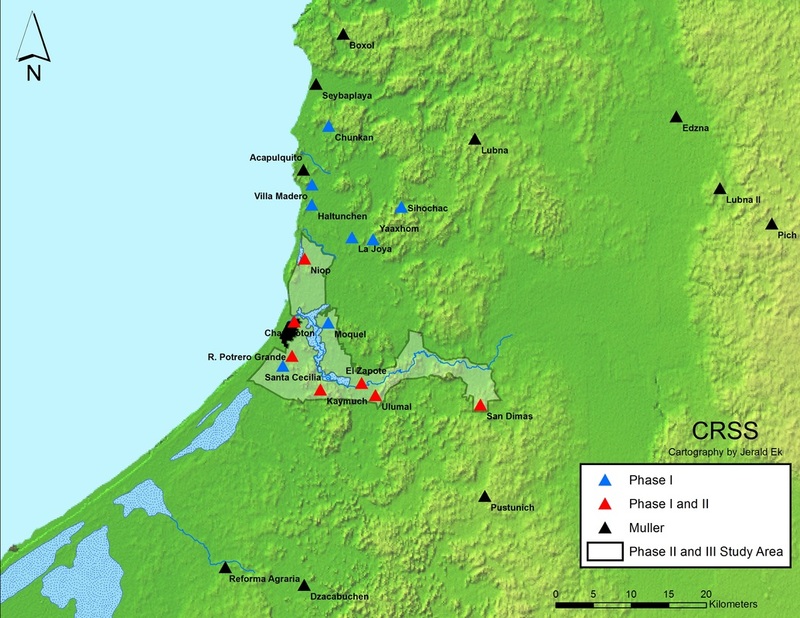 Sites such as Boxol, Edzná, Lubna, and Pich are described in Muller 1960 and Benavides Castillo 2003 and 2005.